This isn’t my first OCR, though it is my first time writing about one. Each time I stand at the entrance to race, I feed off the energy of everyone else to get me pumped to start off from the entrance with a burst of speed. I can’t help but enjoy the spirit of what these things are about to me, the spirit of pushing yourself to a new height and doing things you wouldn’t normally do. I started doing Tough Mudder thanks to a friend at work who asked if I wanted to do the half Mudder with them. I wound up being late that morning to it and did it solo, starting an hour behind them. By the end of the event, I had caught up to them, but I still took 3 hours to do the half event (I know, not impressive at the least, but it was a start?). From that, I was hooked. 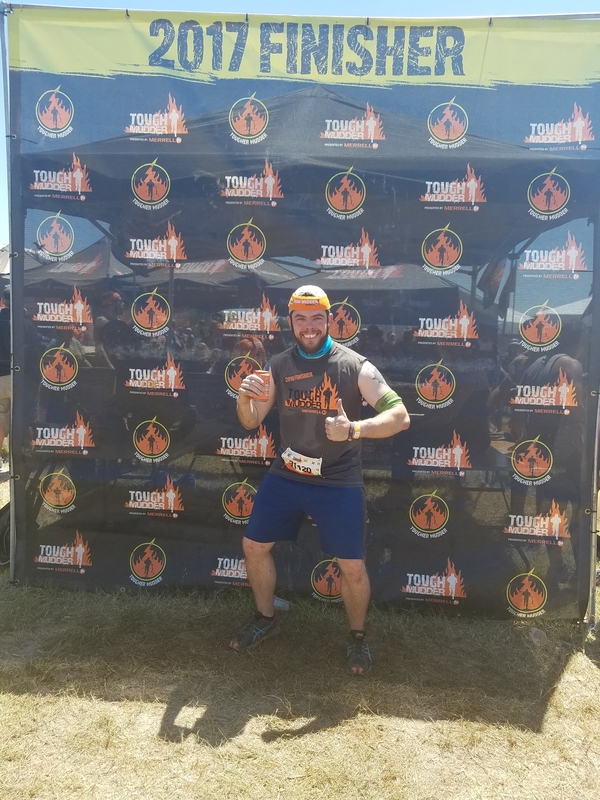 I signed up to do the 2016 Dallas Tough Mudder, and not long after, signed up to do the 2017 Central Texas Tough Mudder with plans to do more if feasible. 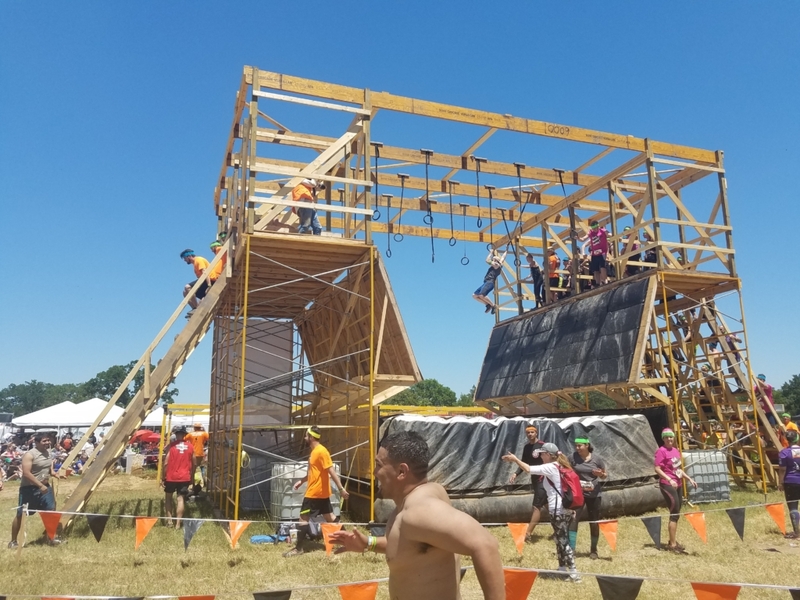 While I haven’t done any other OCRs yet, I plan to try out more and see just how they are, but I’ve fallen in love with Tough Mudder mostly because of the mantra of Tough Mudder – the leave no Mudder behind and make a friend on the course ideas. As I walked up to Mudder Village, the first thing I noticed was that they made a minor change that made it nice for me – they separated out the Half and a Full Mudder lines to make it easier to get into Mudder Village to get set up for your run. 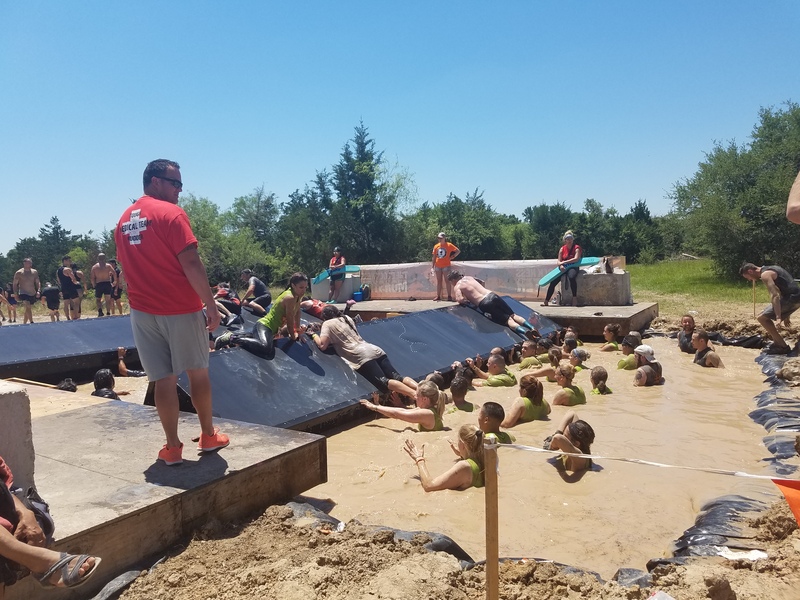 All Mudders get assigned a time to start, though you can start earlier by going into the Stand By zone; helping to fill in gaps in each of the different waves. As I waited to get let into the Stand By zone, I got to talk to plenty of Legionnaires looking forward to trying the new events and just getting started. With the very traditional speech they start off with, the race kicked off, with a mass of people flooding out of the start. I bobbed and weaved in and out of people to get ahead to where I could maintain a jog, running over small little sand hills and the such. As I ran through the woods, going up and down hills of dirt, mud, and occasionally sand, we got to the first obstacle Kiss of Mud that started off the awesome journey of getting very acclimated with mud, sometimes even a mouthful depending on how close you don’t want to get to the barbed wire. After that obstacle, we continued… running through the woods. During a point before the next obstacle, we went through a very small stream that felt refreshingly cold against our feet as we continued to jog to the next event. As I got to the Hero Carry, since I was running solo, I got paired up with a current University of Texas at Austin student named David. As he carried me piggyback down to the half of the event, he shared he was from the University of Texas, and I shared I was an alumnus from 7 years prior. At the switching point, I carried him fireman carry style down the rest of the event, to pick back up on my pace. One of the next obstacles was carrying a wood log up and down hills, sand and mud hills at that. If you want a way to make your calf and shin muscles scream in agony, that’s one way to do it, as you have to control your speed going up and down hills of sand and mud. 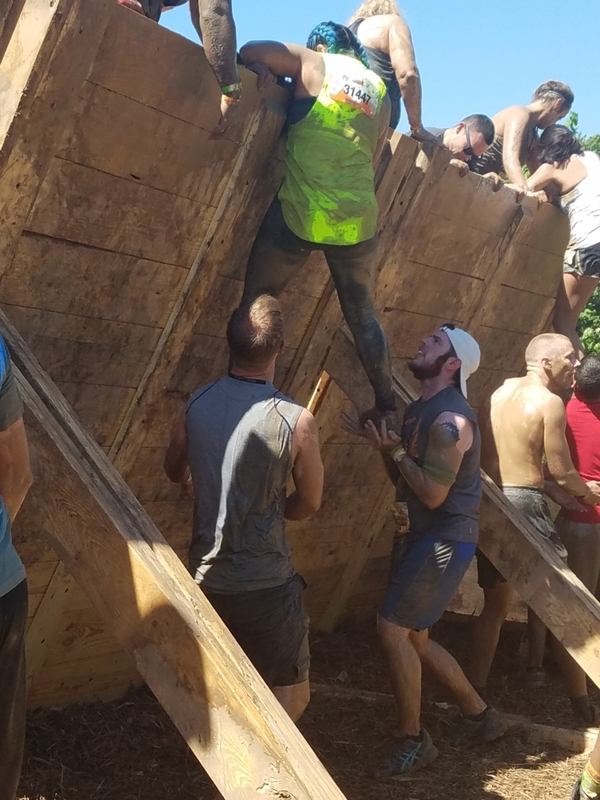 One of my favorite obstacles personally is the Everest 2.0, just cause the thrill you get from being there to support and help lift people up is always exhilarating, if not a test of how well you trained your upper body to support others. After that came another event that’s very fun, the Mud Mile. The best way to describe it is to think of giant mud hills you climbed as a kid, but you get to slip into the muddy water, climb back up, and slip back into the water on a mud slide. Rinse and repeat for about six hills of mud, some getting bigger and bigger. Then came a new obstacle, called Stage 5 Clinger. While a very interesting obstacle, the bars being what they were, it was near impossible to even keep a stable grip on them at all. After a few attempts, I decided to move on after seeing a few people fall and hit their heads against the wood at the bottom. My advice – maybe better bars that your grip doesn’t slip off of so easily. Beyond that, came my most hated obstacle ever – Arctic Enema. Nothing like sliding into a dumpster of cold water, to have to dive further into the water to cross under a middle point into Even. Colder. Water. My feet were numb at least for a quarter mile. 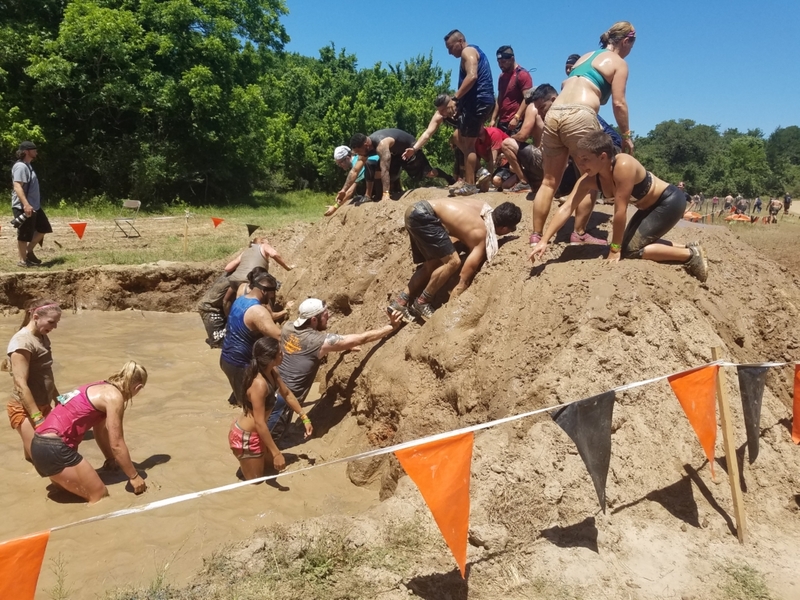 As I continued the run, despite seeing people get stuck in mud pits here or there (two people were completely half their calves stuck in the mud), we eventually hit a snag – the first gigantic line of people waiting for an obstacle. 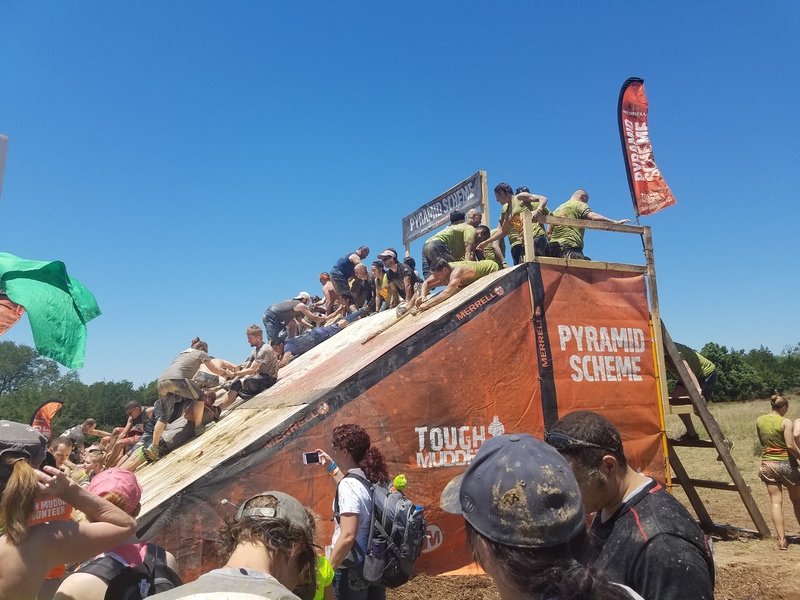 Despite running 3 of these races now, this was the first time I had ever seen a line for an obstacle, and even after waiting 15 minutes, we hadn’t moved at all. At that point, I figured despite this being the new obstacle, it was time to move on. I don’t know what caused the huge holdup, but they might want to rethink that obstacle to prevent these kinds of issues with it in the future. After that, it was the downhill portion of the race through the final events to the end, where I attempted Kong (and fell due to just pure exhaustion and lack of momentum at that point), to end back at the Mudder Village to enjoy a nice beer.